Death delivers a strange blessing. When elders die, we newly appreciate them, often more so than while they lived, and were still able to teach us. We miss them, when we could have remembered them in a far less disconnected way. Does our hindsight help us live differently? Two famous elders died recently: New York Times fashion photographer Bill Cunningham, and Holocaust survivor, Nobel laureate, and renowned author Elie Wiesel, who had become an activist against racism and discrimination. Tributes have been flooding in for both men, and I’ve read a generous lot of them, thinking about how interesting and fascinating they were, each in their own way, and thinking about their signatures on Leading with Aloha over and over again. “Bill on Bill,” a New York Times autobiographical essay published in 2002. I wondered: What if I had read that back in 2002 when it was first published? He had such a storied life! 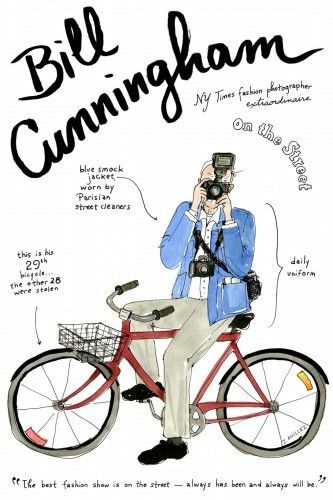 Would I have looked for Cunningham on his bicycle (take a look at this Google search!) when I went to New York soon thereafter? Bill Cunningham and Elie Wiesel were not in a circle of elders I personally knew, and could approach for conversations over a glass of wine, or as we walked our dogs in a public park —though you can bet I certainly would approach them to say, Aloha, and, Mahalo for all you have given to our world, if I did in fact see them in that park, and I recognized them! However, their passing makes me think about the elders I do know — those we call Kūpuna in Hawai‘i. They are elders we should be appreciating alive while we can, and learning more from. — Geneticist and environmentalist David Suzuki writes, We have much to learn from our elders. If you would, please think about that on this Sunday, and converse with your elders too. Click on the image for the Sunday Mālama index of articles. Sunday Mālama has been when I will share my off-the-workplace-highway scenic route kind of posts. Not as a normal weekly feature, but whenever they seem to be writing themselves. You can access the Sunday Mālama archives via this category link, also residing on the right-hand sidebar.